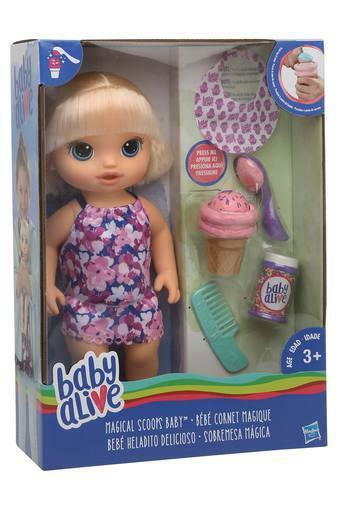 The Baby Alive Magical Scoops Baby Blonde is a fun doll to add to your collection. It's themed around "treat time" and comes with a bib, ice cream cone, scoop and pretend jar of sprinkles. 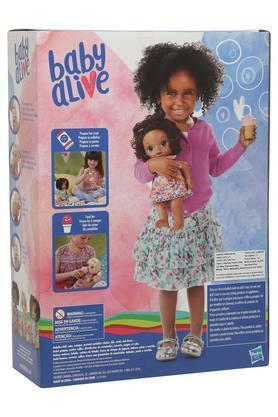 You also get a comb for grooming.